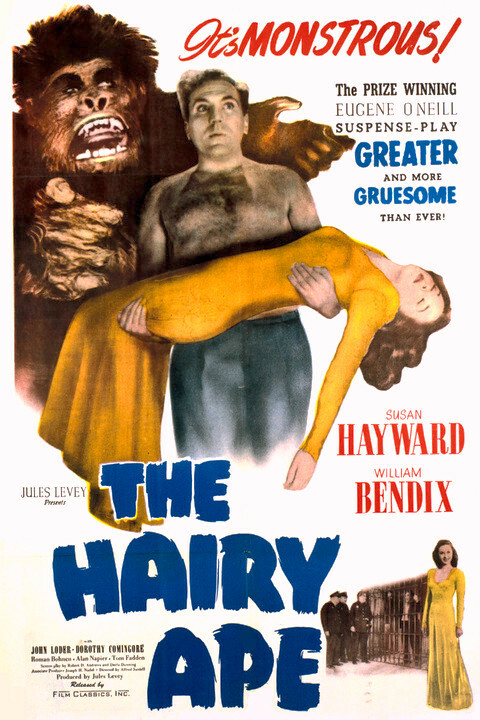 The Hairy Ape is a 1944 American drama film directed by Alfred Santell and written by Robert Hardy Andrews and Decla Dunning. The film stars William Bendix, Susan Hayward, John Loder, Dorothy Comingore, Roman Bohnen, Tom Fadden and Alan Napier. The film was released on July 2, 1944, by United Artists. Ship stoker Hank Smith (William Bendix) is a mountain of a man, but he is still very sensitive. 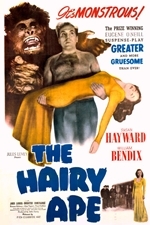 So when the beautiful socialite Mildred Douglas (Susan Hayward) insults him with the slur "hairy ape," her words cut deep. At first the brutish Smith wants revenge for the insult, but after he thinks about it, he's more confused than anything else. After his ship docks, he departs into the city to track down the rich woman and find out the meaning behind her harsh words.